for you, Yahweh alone, make me live in safety. There are many things in this world that cause us to be afraid and to not feel at peace. As a result, many people struggle with sleep at night because of the numerous anxious thoughts that they have circulating in their minds. His encouragement to us today is to not be afraid. 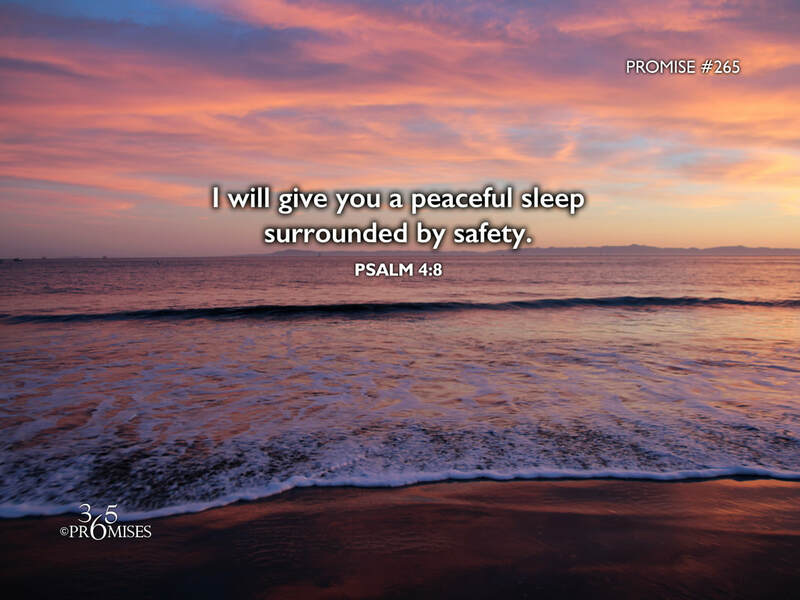 He will make us to lie down in peace and have a restful sleep surrounded by His abiding sense of safety. For all those who struggle with getting a good night's sleep, I pray that this promise would become a tangible reality for you today. May you go to sleep tonight not dreading a night of tossing and turning. May the tangible presence of the Prince of Peace surround you and envelope you with His love so that you can feel truly safe so that you can have the best sleep of your life!